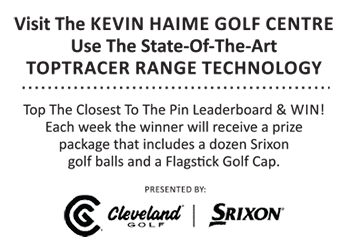 Scoring was at a premium on Thursday as a field of 132 players began their quest to qualify for the 2016 Mackenzie Tour-PGA TOUR. American Seth Reeves paced the field at the Reunion Resort in Orlando on the opening day of the first of four qualifying tournaments for the tour. While others found trouble at the course, Reeves used his length to take advantage of the 7244-yard layout where the scoring average was 76.61 for round one. “I just was pretty relaxed starting out today. I drove the ball well and I hit it fairly long, so to be able to get some drivers in my hand and let ‘em loose and drive it well gave me the opportunity to have some shorter irons into holes, and I took advantage,” said Reeves. Of the ten Canadian players in the field, Andrew Jensen of Ottawa tied the low round with a one-over-par, 73. It was only matched by Sebastien Szirmak of Toronto. Jensen told Flagstick.com that he did his best to get through the day, one that he started early and in very cool temperatures. Full scoring is available at this link.